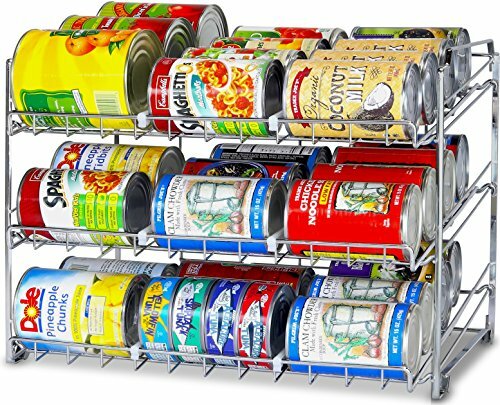 Your entire household will reap the benefits of kitchen organization. Truth: This sounds a little unhealthy. 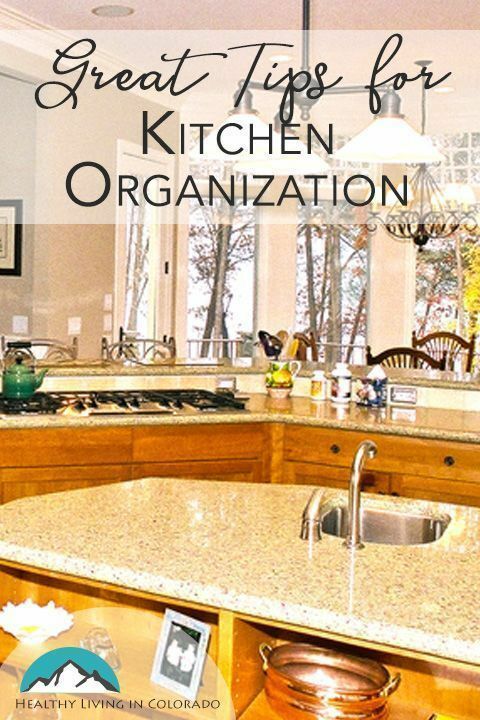 Your kitchen should be one of the most organized and clean rooms in your house! It’s where you gather with family and friends to cook, eat, and spend quality time together. Wouldn’t it be nice to find a Pyrex container and its matching lid in under 10 minutes? How would your kids feel if they knew nothing in the fridge was moldy and they could eat anything without worrying about its freshness? With a little time and organization, you can transform your kitchen. And with just five minutes a day of maintenance, you will be able to keep it spotless! Truth: Keeping up with kitchen organization will save you several minutes a day, which can add up to hours per month. 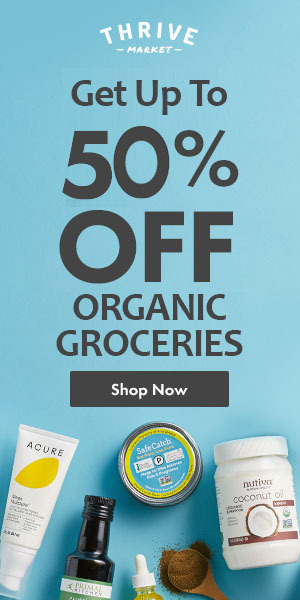 It may be a condiment in the fridge or a certain pot you need. But it all adds up to wasted time that you could spend doing something else more enjoyable. Truth: Even if you only make Pop Tarts and peanut butter sandwiches, you probably spend at least 30 minutes a day in your kitchen. If you cook a meal, you are in your kitchen at least one hour a day. 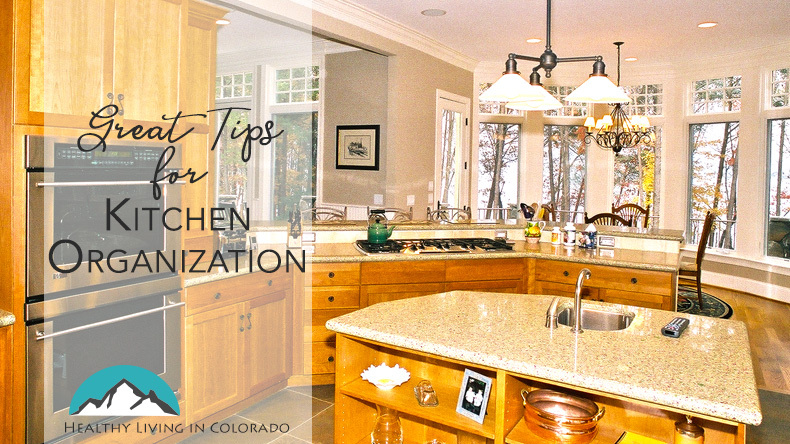 Even without cooking, kitchens are often the hub of the household: message boards, book bags, homework, and that one spot on the counter that seems to attract clutter like a magnet. Your kitchen should be a space that is pleasant and relaxing–a place where you enjoy gathering together with your family and friends. Truth: Maybe you do know where everything is, and that’s great. But what if you got the flu and were bedridden for a week? Would your spouse or friend who dropped by to make you tea be able to find where your things are? One definition of organization is that if you are not there, someone else can easily find things and pick up where you left off. If your friend can’t find the teapot, then there is probably a better way to organize your kitchen to make it more user-friendly. Establishing systems to simplify your life only work if they’re easy to adopt and truly make a difference in your daily life. Here are some tips to make your kitchen easier–and more enjoyable–to use. By taking a few extra minutes each time you come home from the grocery store, you will save yourself a lot of time later in the week. Organize your food in the pantry and fridge by groupings. 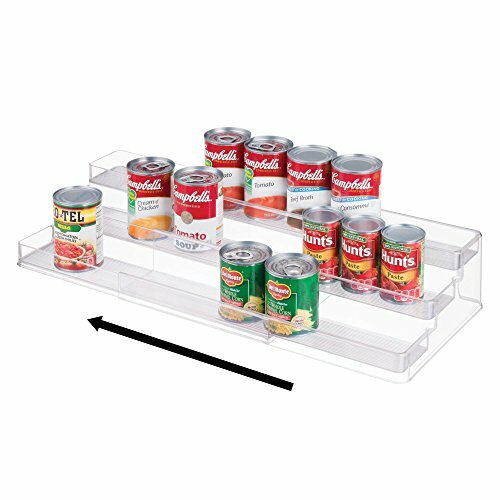 For example, put your canned veggies in one spot, group soups together, store all dessert ingredients near each other, etc. My favorite kitchen organizational tool is this. This is my favorite thing for cans. Turn labels out so you can see what you have at a glance. Put taller items in the back and shorter items in the front. This organizer can help. Once a week, toss outdated food from your fridge. I recommend doing this the day before you go to the grocery store so it will make room for food you’ll bring home. Try to always put items in the same place whether it’s in your cabinets, fridge, or pantry. For example, put the mustard in the same location each time you use it. This way you and those you live with will remember where to look for it the next time you need it. Keep your pots, pans, and cookie sheets near the stove since that’s where you will use them. Store the glasses near the fridge so they will be near the ice and beverages. Keep like items together. All of your plates, saucers, and bowls should be in the same cabinet so that you and your visitors can find them easily. Keep your coffee and tea items near the coffee and tea pots. Include the sweetners, a spoon, tea bags, mugs, and similar items near your coffee/tea space. Keep all your storage containers together. Stack smaller ones into larger ones. You may need to purge some of your containers if your Tupperware cabinet is being overrun. If you only keep in the cabinet what you regularly use, storage won’t be so difficult. Spices and oils should be kept near the stove since that’s where you typically use them. To preserve the flavors of your spices, store them in the dark and not directly above the heat-source. 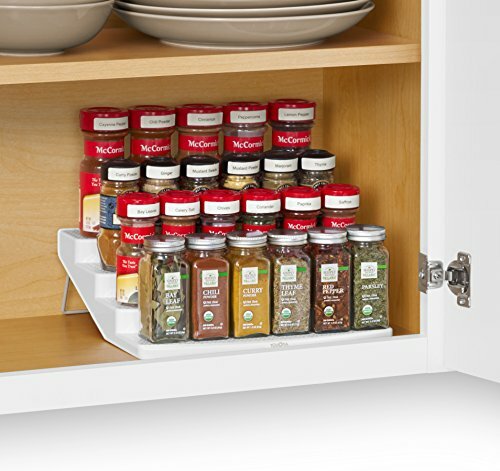 We use something like this shelf for our spices in our cabinet to help us see the spice labels. If you keep medicine in the kitchen, try to keep cold/allergy medicines together, stomach medicines together, all your vitamins in one place, etc. If your incoming mail is in your kitchen, you may enjoy this article. I hope you find these tips for kitchen organization helpful. Please post your ideas and pictures below in the comments, and feel free to share this post with someone who could use it!